We want our skin to look its best because it is one of the first things people notice. Years of acne and sun damage can take its toll on our skin, potentially leaving it wrinkled or scarred with an uneven tone. 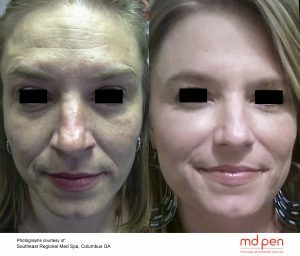 MicroNeedling is the new solution to acne scars, wrinkles, stretch marks, and anti-aging. * It’s quickly becoming one of our favorite, most sought-after treatments because of its ability to build new collagen, improve skin tone and texture and fade scars without surgery or downtime. Contact the Rejuvenation Center today to schedule your free consultation. MicroNeedling is a non-surgical procedure that is performed in our office, also known as Collagen Induction Therapy (CIT). To make the experience as comfortable as possible, a topical numbing cream is applied about 20 minutes prior to the treatment. 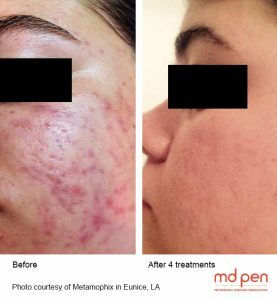 Once numb, the first topical infusion of hyaluronic acid/copper-super skin hydrator, is applied and the MdPen MicroNeedling device is used to increase the penetration of these vital nutrients deep into the dermis through tiny microchannels. Once created, another topical infusion is administered. We conclude the treatment with additional anti-oxidant serums and stem cell growth factors. Individual treatment protocols will vary depending on the patients’ needs. 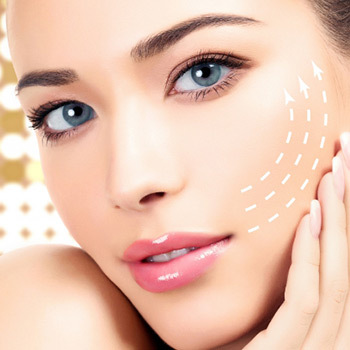 In the days and weeks following the treatment, the body begins to heal the micro channels by creating even more new collagen and elastin resulting in smoother, firmer, more youthful-looking skin. The skin afterward may appear pink, like a mild sunburn for 1-2 days. 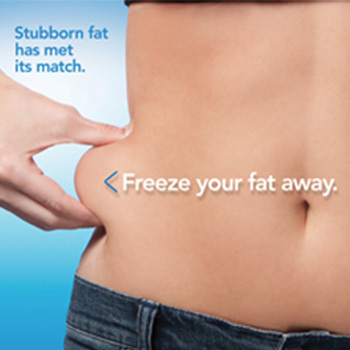 The entire procedure can take anywhere from 45 to 60 minutes, depending on the size of the area. After your MicroNeedling procedure, you want to avoid putting makeup or harsh creams or lotions on the area that has been treated for 24 hours. 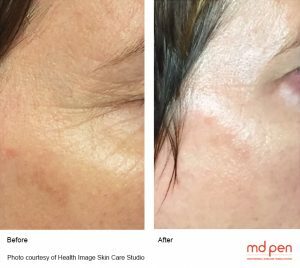 Results achieved have been compared to those of laser skin resurfacing treatments such as Fraxel, but without the associated cost, redness, and downtime. For best results, multiple sessions are recommended, typically 4-6 treatments, one month apart to treat acne scars or rhytids (wrinkling)-stretch marks. As an anti-aging treatment, one every 3 months are recommended. If you are interested in MicroNeedling, contact the Rejuvenation Center to schedule your free consultation. Our clinic is located in Wheeling, West Virginia, but we proudly serve Ohio, Pennsylvania, and other areas in West Virginia. *Individual results may vary. Pictures do not constitute a promise or a representation of any particular outcome.